Upswing have been working with libraries since 2014 to create alternative creative experiences. 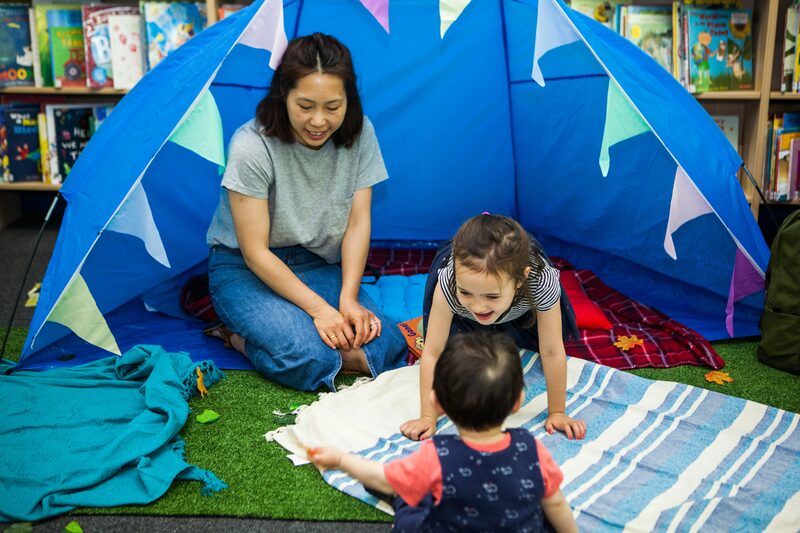 These interactive performances and workshops transform the space to capture the imaginations of young family audiences and encourage them to play together, spending precious quality time in their local community libraries. It’s time for bed, but everyone is wide awake. In Once Upon a Pillow Fight, children and their adults tuck themselves into comfy beds – but while you settle in, two characters are not nearly ready to sleep and their bedtime adventures soon descend into pillow-fighting chaos. Commissioned by Islington Word Festival and drawn from Upswing’s successful touring show Bedtime Stories. 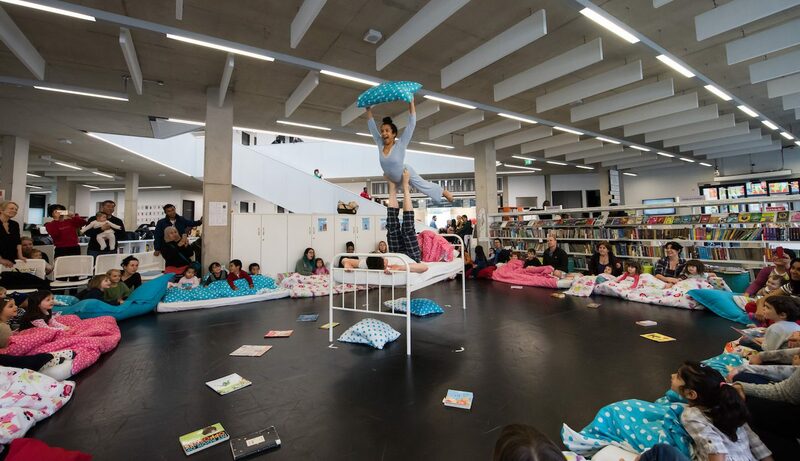 Once Upon a Pillow Fight is touring to four Nottingham Libraries in 2019. Topsy Turvy is an immersive performance for young families inviting audiences to crawl, jump and tumble through a colourful landscape of tents. This intriguing new world is animated with acrobatics, storytelling and music, inspired by The Ramshackle House it considers how we live together and create space for others. 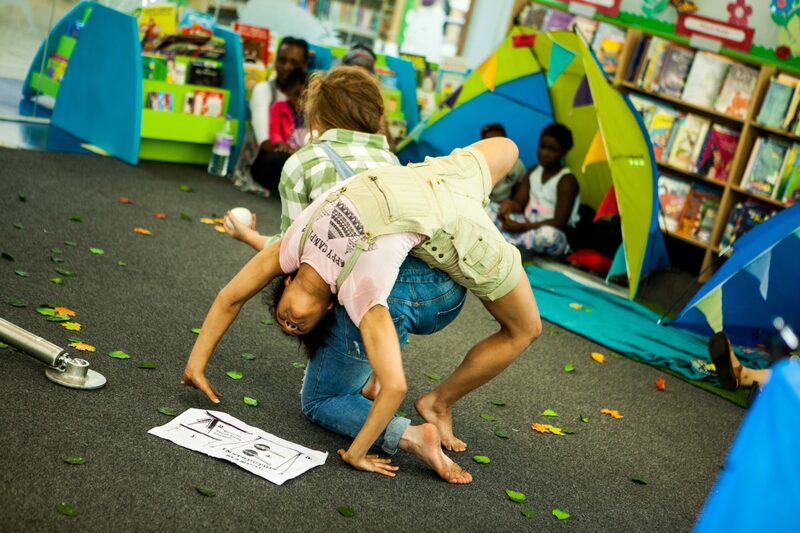 In Pitch, an artistic residency in Willesden Library, Brent, children and their families took part in a unique, in-depth experience with circus in a transformed library space. The residency included performances on the theme of the great outdoors, which participants responded to in a series of circus, music and drawing workshops.